Students of higher education in West Virginia have a variety of national and state programs offering grants and scholarships to defray the cost of earning a college education. Many national scholarship programs are available to students beginning undergraduate study in the state of West Virginia. Goldwater Scholarships are for students majoring in the fields of Mathematics, Natural Sciences, and Engineering. Students must demonstrate a strong commitment to career in one of the above fields and have the potential for making a significant contribution in their chosen field of study. US citizen or resident alien. For more information, visit the Goldwater Scholarship website. Udall Scholarships are awarded to students in all majors and fields of study. The student must have outstanding potential and intent to pursue career in environmental public policy, or (if Native American or Alaska Native) pursue career in health care or tribal public policy. US citizen, US national, or permanent resident alien (should have involvement with campus and/or community environmental issues or programs). To apply, visit the Udall Scholarship website. In addition to national scholarship programs, the state of West Virginia, public and private universities and colleges and non-profit foundations offer scholarships and grants to students who will earn an undergraduate degree in the state. 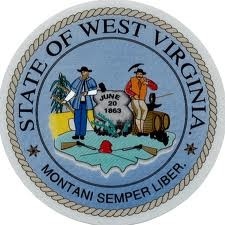 The PROMISE Scholarship is a publicly funded scholarship administered by the State of West Virginia. The PROMISE Scholarship pays a student’s complete tuition and fees to any public college or university in West Virginia, or an equivalent amount to an in-state private college. Students who meet certain academic requirements are eligible to receive PROMISE Scholarships to help pay for the cost of college. Eligible high school graduates will receive annual scholarship awards up to $4,750 to cover the cost of tuition and mandatory fees at public or independent colleges and universities in West Virginia. Students can combine these funds with other scholarships and grants awarded by colleges and universities in West Virginia. A student must graduate from high school with a minimum 3.0 grade point average, or whatever is considered a “B” average in their school district, in both the core courses and overall coursework (weighted grades may be used when calculating overall grade point average). The core grade point average includes all required courses at the high school level, but does not include high school electives. GED and home-schooled students must attain at least a 2500 score on the GED for PROMISE scholarship consideration. Students who do not attend a West Virginia public high school, such as students who attend private high schools and students who commute to an out of state high school outside of West Virginia, must submit a grade report form, available on the Promise Scholarship website, in order to be considered. Students must also attain a composite score of 22 on the ACT, with minimum scores of 20 in the English, Mathematics, Science and Reading sections, or attain a composite score of 1020 on the SAT with minimum scores of 490 in Critical Reading and 480 in Mathematics to be considered for the Promise Scholarship. The Promise Scholarship is renewable but requires that the student meet ongoing grade and credit hour requirements at the university or college where they are enrolled. For more information on the Promise Scholarship, visit the Promise Scholarship website. The Greater Kanawha Valley Foundation administers a vast number of scholarship programs to students enrolled at universities and colleges in West Virginia. The student needs only to complete one application to be considered for any and all of the scholarships administered by the foundation. Scholarships and grants are awarded in various amounts, beginning at $500. Students can earn more than one scholarship through their application to The Greater Kanawha Valley Foundation Scholarship. Scholarship eligibility is determined by the various scholarship program requirements. Some scholarships within the Foundation have requirements including participation in a particular church, graduates of particular high schools within the state of West Virginia, members of particular fraternities or sororities, residence within certain counties in West Virginia, studying a certain major, children or grandchildren of law enforcement employees or officials, family members employed by or members of particular associations, guilds or clubs. For more information on the individual scholarships awarded by The Greater Kanawha Valley Foundation or to submit an application for consideration, visit The Greater Kanawha Valley Foundation Scholarship website. The West Virginia Higher Education Grant is a need-based financial aid grant program designed to ensure West Virginia students with financial need are given an opportunity to pursue post-secondary education. The grant may be renewed until the student’s course of study is completed, but may not exceed an additional three academic years beyond the initial award, or a total of four years of undergraduate study at a college or university within West Virginia. Awards are based on demonstrated financial need and for the most part may be used in conjunction with other forms of state, federal and institutional financial aid. have not previously earned a bachelor’s degree. 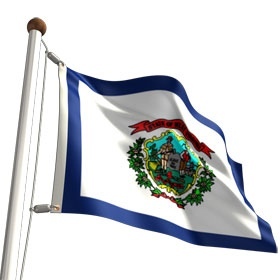 The West Virginia Higher Education Grant may be used at approved post-secondary public and independent institutions of higher learning in West Virginia or Pennsylvania. The grant may be transferred from one eligible institution to another but cannot be renewed more than three times even if the student has not yet completed the bachelors degree. For more information or to apply for the West Virginia Higher Education Grant, visit the College Foundation of West Virginia website . The Miss West Virginia Organization and Pageant, an official preliminary pageant to the Miss America Scholarship Program, showcases some of the most talented, educated, and socially aware women of West Virginia. The goal of the Miss West Virginia Organization and Pageant is to promote the education of young women ages 17-24 who reside in West Virginia, by providing educational scholarships at every local pageant and the annual state pageant. For more information on the Miss West Virginia Scholarship program, visit their website. The West Virginia University Foundation Augusta Scholarship Fund offers grants to students who might not otherwise have the financial means to further their education. The scholarship funds are split into two groups, with 50% of the funds going to students who are the children, grandchildren or siblings of West Virginia alumni. The remaining 50% of funds are awarded to non-West Virginia residents attending the University. For more information, visit the West Virginia University Foundation website. The goal of the Higher Education Adult Part-Time Student Grant Program is to encourage and enable West Virginia students that demonstrate financial need to continue their education on a part-time basis at the college or university level. To receive the award, students must be enrolled at a community college, a state college or university or an independent college or university in West Virginia. To apply for the Higher Education Adult Part-Time Student Grant Program, visit the College Foundation of West Virginia website. The Bucklew Scholarship at West Virginia University is considered a Presidential Scholarship and covers tuition, a book stipend which is determined by the Office of Financial Aid, and $2,500 toward other costs over four undergraduate years. To be considered for the Bucklew Scholarship, students must maintain a minimum high school GPA of 3.80 and an ACT of 30 or SAT of 1340. Students are selected from the pool of students receiving a Presidential Scholarship who graduate from a West Virginia high school or who have been home-schooled for at least their senior year in West Virginia. The Nelle V. & Kathryn McLaughlin Scholarship at West Virginia Wesleyan College awards scholarships to students majoring in English or Chemistry. Students must have a 3.5 GPA and a score of 600 or higher on the mathematics portion of the SAT or a 26 on the mathematics portion of the ACT. Visit the West Virginia Wesleyan College website here to apply for the chemistry scholarship or here to apply for the English scholarship. The Richard C. Flint Scholarship at West Virginia Institute of Technology awards scholarships to students attending the university majoring in the fields of Health Services Administration, Industrial Relations and Human Resources, Criminal Justice Administration, and Public Service Administration. To apply, students should complete the application on the West Virginia Institute of Technology website. The opportunity scholarship is awarded to West Virginia high school seniors who meet the eligibility requirements and who do not receive any other forms of scholarships or grant tuition assistance from West Virginia State University. Students who qualify will be provided $1,000 per semester for four years to assist in the payment of tuition and fees. Students must complete, sign, and submit an Opportunity Scholarship application prior to May 1 of the academic year that begins each August. ACT scores submitted by May 1st of the year the student plans to attend. For more information on the Opportunity Scholarship at West Virginia State University, visit their scholarships page here. The Welch Colleague Scholarship at the University of Charleston is available to students from all fields of study. Fifteen new Welch Colleagues are chosen each year and each student receives a significant tuition scholarship. Selection based upon competition during Experience UC Day on campus. Eligibility requirements for the scholarship include a high school academic grade point average 3.0 or higher, past or current community involvement and leadership, and the student must live on campus while enrolled at the university. Upon completion of the field of study, the student also earns a minor in leadership studies. To apply for the Welch Colleague Scholarship, visit the University of Charleston Welch Colleague Scholarship page here and complete the online application. Are there any state or federal grants for a child who has a disabled farther? The student is now in the 11th grade and wanting to go to college after he graduates. We live in Preston County, WV.